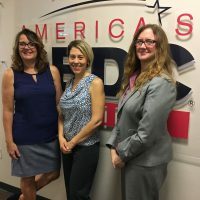 When Lehigh Acres-based Lighthouse Pet Clinic suffered economic and physical damage from Hurricane Irma, owner Laura Baltodano (center) turned to the Florida SBDC at FGCU for help. 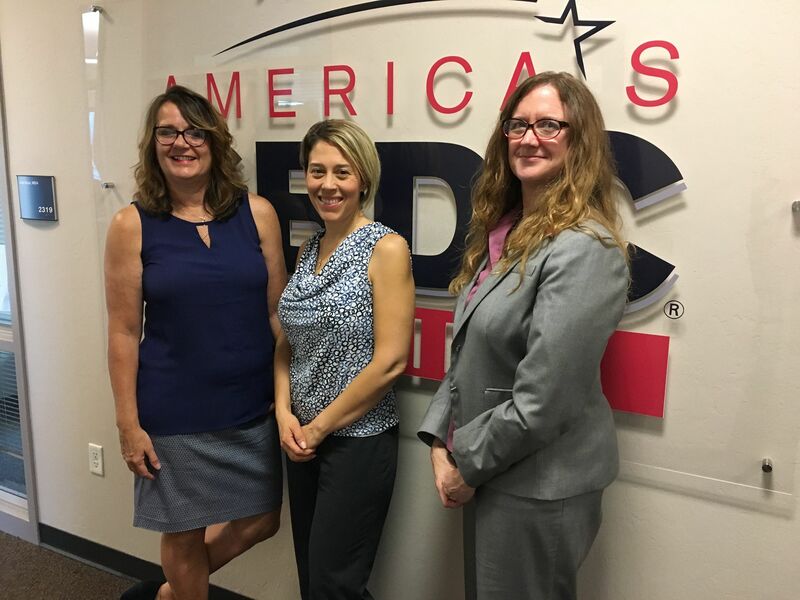 Pictured with Dr. Baltodano are Lois Knox (left) and Suzanne Specht (right), Regional Director and Assistant Area Director for the Florida SBDC at FGCU, respectively. Located in Lehigh Acres, Lighthouse Pet Clinic is a small animal veterinary practice. Since 2006, Lighthouse Pet Clinic has provided quality pet health care to animals in Lehigh Acres and the surrounding area. We suffered a loss of power, loss of business revenue, and damage to our air conditioning unit, including the unit itself and thermostat. We also suffered damage to radiology equipment. The bridge loan will allow us time to recover from a $10,000 + loss of revenue and potentially longer-term effects due to the hurricane, which has significant impacts on a small business. The [Florida SBDC at FGCU] provided great communication and quick turnaround. [They were] very accommodating [and provided] good education options. "The [Florida SBDC at FGCU] provided great communication and quick turnaround. [They were] very accommodating [and provided] good education options. "